Tony knows one thing for sure, he is dying, because the arc reactor he invented has begun to poison his blood. He starts to become fatalistic about his future, turning over control of Stark industries to his assistant Pepper Pots, and racing cars in Monaco, as well as hiring Natalie Rushman (Johansson) an employee from legal to be Pepper’s assistant. 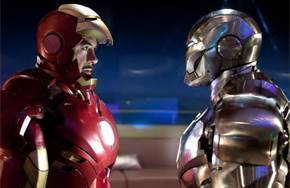 In Monaco, Tony has his first brush with Vanko, Vanko is jailed by French authorities, but is bailed out by Justin Hammer to work at Hammer industries Sick of Tony excessive drinking, his best friend , James “Roady” Roads, confronts Tony, fights him and takes one of Tony’s spare Iron Man suits to be weaponized by the military. Toby’s downward spiral would continue, if he weren’t kidnapped, by mysterious Nick Fury (Samuel L. Jackson) and told to find and element for his arc reactor that won’t kill him. Fury gives him an injection that slows down the poisoning and Tony begins to look for the elusive element, with the help of some old film of his dad. 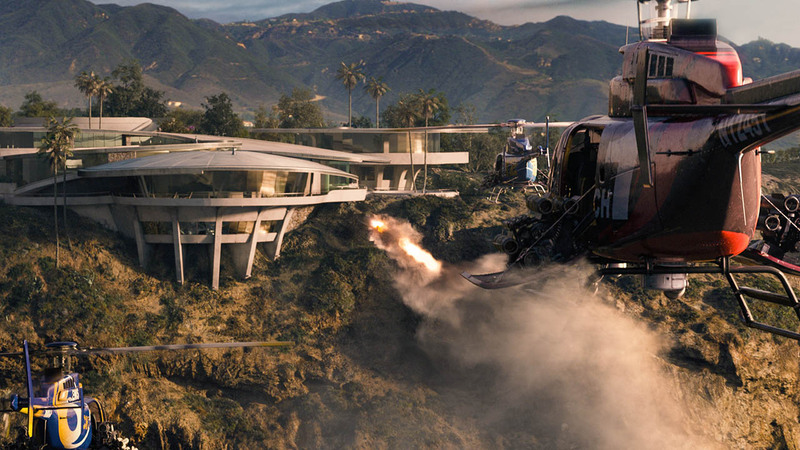 But will Vanko and Hammer build those Iron Man drones and rule the world? Who is Natalie Rushman, will she help Tony or doublecross him? Will Tony find a new element for his arc reactor before the old reactors kill him? Iron Man. Ironing out his personal problems, and letting us watch.